More analyzing, less clicking. Powerful software for high-content data analysis. 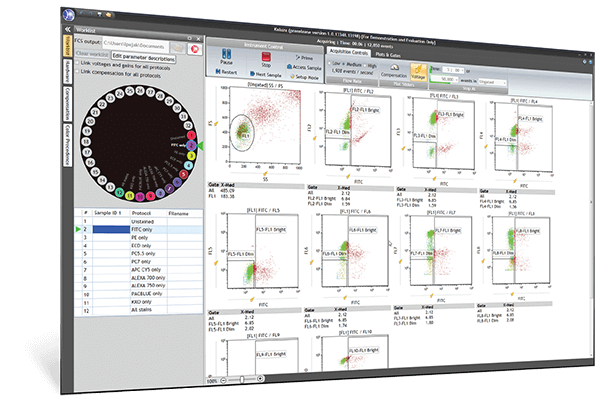 With features designed to simplify life in the lab, Kaluza provides a greater understanding of the data generated by modern cytometers. Offers real-time analysis of high content files to free up your valuable time for discovery. Kaluza G is for the Gallios series of cytometers. Includes monitor.